You already know that eating plant-based has incredible health benefits – but how does it benefit the most important organ in the body: the heart? Eating plant-based can prevent – and may even reverse heart disease. Did you know that heart disease is the cause of nearly one-third of all deaths globally? It’s a shocking statistic – but simple things like changing our diet could help us significantly improve our heart health. And there’s one diet that’s considered to be particularly beneficial for your heart: the plant-based diet. According to the American Heart Association, eating a mostly plant-based diet may reduce your risk of developing heart failure by 42 percent! On top of that, some compelling evidence suggests incorporating more plants into your diet may even help reverse heart disease. Plant-based diets which mainly consist of vegetables, fruits, nuts, whole grains, and legumes, and exclude animal proteins (meat, dairy, and eggs), are usually lower in saturated fat and rich in fiber, vitamins, and minerals that help lower bad cholesterol and blood pressure. The health benefits of plant-based diets have been studied for decades – and experts now agree that plant-based foods can protect your heart! But not all plant-based foods are equally heart-healthy. The key to eating a healthy plant-based diet is limiting your consumption of processed foods – and focusing on whole foods that are rich in fiber, minerals, and nutrients that promote a healthy heart. Here’s a list of the most beneficial plant-based foods for your heart! Help your heart by filling your plate with vitamin and mineral-rich vegetables like kale, spinach, and collard greens! Rich in nutrients (especially fiber! ), whole grains help reduce the levels of “bad” (LDL) cholesterol and decrease the risk of heart disease. Add wheat, brown rice, oats, barley, buckwheat and quinoa to your diet – and your heart will thank you. It’d be difficult to imagine our lives without avocados, right? Well, not only are they super tasty –they’re also an excellent source of monounsaturated fats which are great for your heart! 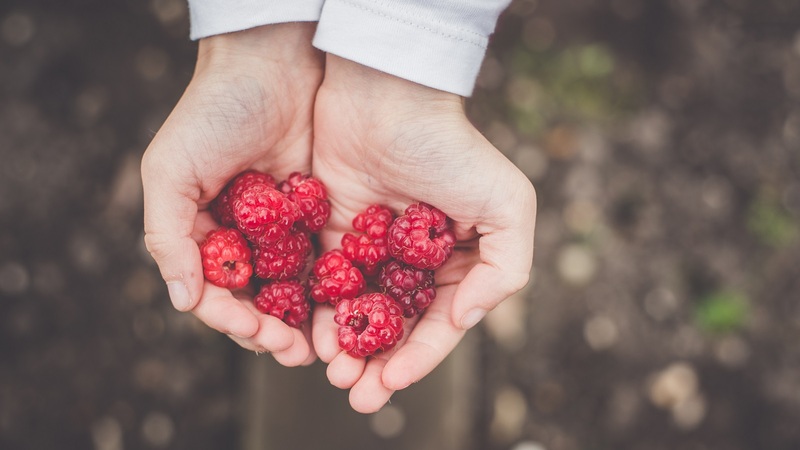 Berries are incredibly rich in heart-healthy antioxidants – and research shows that including lots of berries in your diet may reduce several heart disease risk factors! So, snack on strawberries, blueberries, raspberries or blackberries – or add them to nutritious smoothies and low-calorie desserts. A fantastic source of magnesium, copper, manganese, and fiber – walnuts are incredibly good for you. Studies have shown eating walnuts can protect against heart disease by lowering LDL cholesterol, blood pressure, and inflammation. And now – are you interested in learning to cook healthful plant-based meals? Check out the Wholesome Culture Cookbook which contains over 80 nutrient-packed, incredibly tasty and easy recipes for cooks of all levels! Grab your copy now and save more than 30%!